The Jazz Arts Group of Columbus (JAG) is pleased to return to the Topiary Park downtown for its second season of outdoor PBJ & Jazz concerts. PBJ & Jazz at the Topiary Park: Jazz for Kids and Families is a collaborative effort between JAG, Friends of the Topiary Park, Friends of the Library, and the Columbus Museum of Art. The summer season kicks off this Saturday, June 12th with local jazz vocalist, Rachel Sepulveda. Rachel will be performing “Disney Does Jazz”. PBJ & Jazz at the Topiary Park concerts are free and follow family storytime at 11:00 AM at the Main Library. Guests are encouraged to bring a picnic and a blanket. The noon concert will conclude with a hands-on art activity, from 1:00 – 2:00 PM, presented by the Columbus Museum of Art. The Topiary Park is located at 480 E. Town Street in downtown Columbus. In the event of rain, concerts and art activities will be held inside the Main Library at 96 S. Grant Avenue. Call 614-294-5200 for more information. Rachel’s voice can be heard frequently on the music scene in the central Ohio area singing in a variety of styles including jazz, Brazilian, and R&B/soul. She currently leads her own fusion project, which features many original compositions and arrangements. One can also hear her sing Brazilian Bossa/Samba classics with guitarist, Josh Hill or with pianist, Tony Bonardi singing top 40 covers. Ms. Sepulveda honors the historical traditions of jazz while fusing the contemporary grooves of R&B/soul with the sounds of Latin America and Brazil. Just a few of the artists she credits to her influence include: Bobby McFerrin, Djavan, Chaka Khan, Herbie Hancock, Stevie Wonder, Elise Regina, Roberta Flack, Flora Purim, and Joni Mitchell. As an educator, Rachel conducts clinics and master classes on style and musicianship for vocalists, vocal technique, and jazz history. 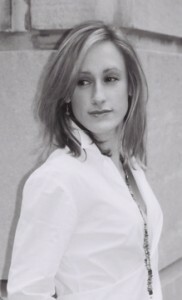 She currently teaches through the Lincoln Theatre Jazz Academy, Columbus, OH. Rachel also offers individual lessons within her private studio.